Our Cash Collections team work to maximize the timely collection of cash from our customers around the globe, through the effective management of enquiries made and received by telephone. We work to keep our aged debt to a minimum through timely action of outstanding debt. Join Bratislava Business Center’s Order to Cash Department as a Collections Specialist! Besides a very pleasant and international work environment Johnson Controls offers various opportunities for future growth, a competitive salary, monthly bonus to be paid after 6 months, fully covered meal vouchers, monthly free workplace massage, winter vitamin package, onsite FIT days and a flexible benefit allowance so you can choose to tailor the rest of the benefits to suit your individual needs. &nbsp;You will be based in our newly opened offices in the vibrant city center close to the river and Eurovea shopping center. The onsite facilities include a fitness center, coffee machines, canteen and nursery. If you are relocating to Bratislava to join JCI you will be eligible to receive a housing allowance to help you get your new life set up! Salary starting from 1000 EUR/month gross (plus monthly bonus to be paid after 6 months) based on relevant experience. This salary is our minimum advertised salary. We value each and every employee who joins Johnson Controls, therefore ensuring our compensation package aligns with your professional qualifications and competencies to the open position you are selected for. 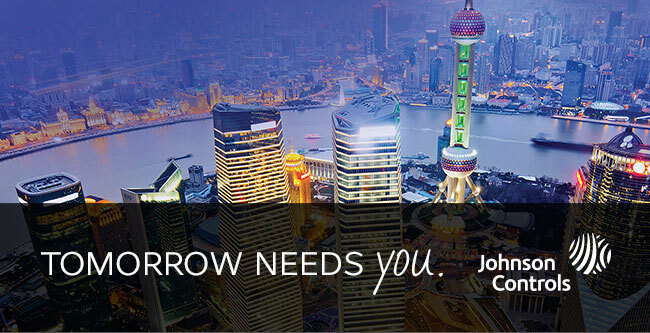 &nbsp;Who we are &nbsp;At Johnson Controls, we’re shaping the future to create a world that’s safe, comfortable and sustainable. Our global team creates innovative, integrated solutions to make cities more connected, buildings more intelligent and vehiclesmore efficient. We are passionate about improving the way the world lives, works and plays. The future requires bold ideas, an entrepreneurial mind-set and collaboration across boundaries. You need a career focused on tomorrow. Tomorrow needs you.